The Pediatric Pharmacy Advocacy Group awards up to 2 Best Practice Awards (BPA) annually. The awards are chosen from Pediatric Pharmacy Practice Abstracts submitted each year for presentation at the PPAG Annual Meeting. Awards are given to innovative and creative pharmacy programs that advance the mission, vision, and goals of the organization. 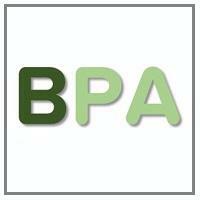 BPA Posters will be selected based on achievement of excellence in each of the four areas. Winners of the Best Practice Award will be chosen from accepted abstracts. The program, system, or project can be an individual or collaborative effort in any type of practice setting, including academia, institutional, or ambulatory care. Best Practice Abstracts should include sufficient details about the rationale, process, and hypothesis of the impact should the program, system, or project be implemented. Accepted abstracts will be published in the Journal of Pediatric Pharmacology and Therapeutics. Submissions should include any pictures, graphs, figures and data tables that supports the summary. Each of these must be clearly labeled and described. To be considered for the award, practitioners must submit a 400-word summary of your innovative and creative pharmacy program to the Advocacy Committee of PPAG. Introduction - a summary of the program including length of time for development and implementation. Background - a description of the impetus for the program and the establishment of its goals. Program Description/Methods - a description of the development process, including timeline. Discussion and Conclusion - a discussion of the program and its outcomes. Each program description must be submitted online. Information regarding the online submission process will be described each year in the Call for Abstracts distributed via email and on the PPAG website. Award recipients will share their best practice during a presentation at the Annual Meeting and as a poster at the Annual Meeting. PPAG will submit a call for papers each year! Recipients share their Best Practice with the membership during 15 minute oral presentation during our Annual Meeting each year. The PPAG Best Practice Awards are sponsored by Chiesi.